We have 27 registered suppliers in this City ..! The Parish of Puerto Misahuallí, maintains throughout the entire territory a number of tourist attractions, ranging from waterfalls, petroglyphs, caves, trails, giant ancient trees, wild animals, plus some attractions to discover. Activities such as rafting, tubing, canoeing on the Napo river and Misahuallí are offered by certified tourism agencies in the parish. There are some Community Tourism centers located on the banks of the Napo River, which offer activities such as hiking, making handmade chocolate, lodging, camping, and other additional activities. In short, Misahuallí is a paradise full of magic, adventure, and fun waiting for you ..! How to get to Misahualli? From the Quitumbe Terminal in the South of Quito are 5 hours, they leave from 5am until 10pm costs around USD 6, there is no way to book in advance but there are always buses. 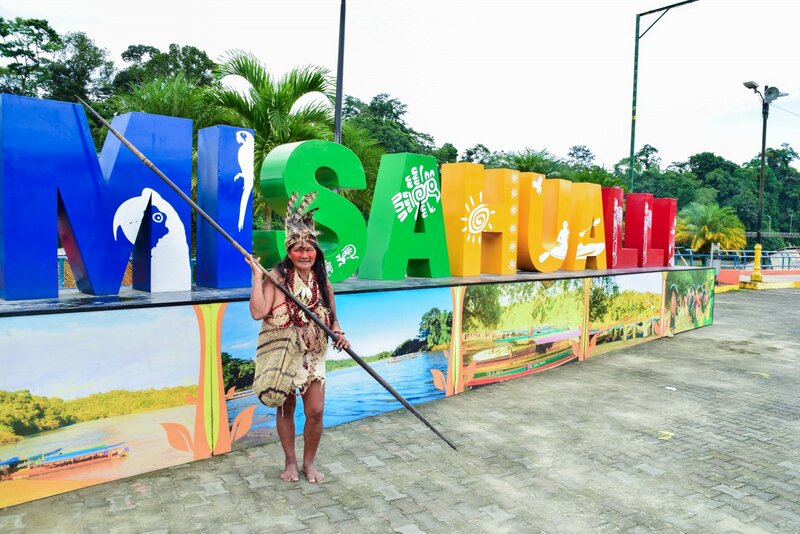 It is also 10 hours from Guayaquil, where you can book a bus ticket a day in advance and recommend leaving by bus from 10pm (Flota Pelileo) to arrive at Misahualli and take advantage of the day. There are no buses with a direct route to Misahualli, for this reason, you must arrive at the Terrestrial Terminal of the city of Tena, and then transfer by bus to Misahualli. The bus tour from Tena to Misahualli is approximately 20 minutes. Visiting Las Cascadas de Latas: They are located 10 minutes by bus on the Misahualli - Tena road, they are very famous so you will not have problems in which the bus driver leaves you in the sector, there are also signs. The cost of access to the place is 1.50 for Ecuadorians and 2.00 dollars for foreigners, if you want to rent rubber boots, you can do it in the place. The route to reach the main waterfall is 45 minutes and they only serve until 4pm, due to problems of the river rising or the rains can cause problems when returning. Trip in Canoa by the Napo River: Everything depends on the places you want to visit, prices vary from 20 to 120 dollars, the canoe rental, which can go a large group and divide the cost or look at the beach where The canoes come out and ask what trips there are and how much it would cost you. In the tour of the canoes you can stop in some Quechua community and you can take pictures with alligators and boas, and they have many crafts and taste the rich tilapia maito. Visit the Caverns Jumandy: To get to the caverns you can do it by taking a bus from Misahualli to Tena, with a value of 0.60 cents, and then take a taxi to the Caverns of Jumandi, the value of the taxi is from 6 to 8 dollars. The Jumandi Caverns are inside the tourist complex of the same name, to access you must pay $ 2.00 for the entrance fee. In this complex you can enjoy Restaurant, Slides, Parking, etc. What to bring to Misahuallí? The climate in the Amazon region is very variable, there is always sun, rain and insects. It is recommended to bring light clothing, swimsuit, insect repellent, sunscreen, sunglasses, a hat to protect yourself from the sun, shoes to enter and leave the rivers.